We begin seeking balance in our earliest years. Slowly, we learn to uncurl our toes, distributing our weight evenly on the quest for bipedalism. Rather than grip, we believe. Grabbing assistance wherever we can find it, something stable, someone we trust. As years pass, we move on to other challenges, removing the training wheels. We persevere despite bumps and bruises accumulating, both badges of honor and reminders of defeat. For adults, the challenges (generally) become centered less on physical balance. We learn to balance our time, emotional responses. We learn to weigh expectations and dreams. 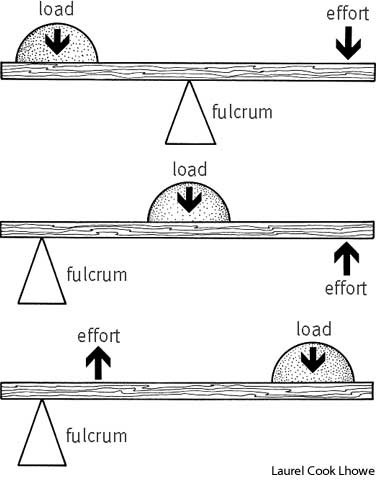 We learn to adjust our fulcrum, to distribute weight more evenly or to exert more pressure in other areas. And, sadly, the bumps and bruises continue, less visibly, and they often take longer to heal. There was a riddle that floated around in elementary school. There were many, but this one in particular has taken on new meaning for me in recent days. What weighs more: a pound of feathers or a pound of lead? We hoped to catch those whom were not listening carefully, those who heard only the feather/lead comparison and not the detail that they had equivalent mass. But during my “unpacking” process, in my quest for balance, I’ve been giving a lot of thought to the weight of matters and how a pound of one “bag” is not necessarily counteracted by a pound of its opposing force. The laws of physics aren’t so clear in matters of the heart. I’ve learned that while I can lift dozens of pounds at the gym, a few pounds on the scale can feel like more than I can bear. I need to adjust my fulcrum. I’ve learned there is a reason for the term “burden of sorrow.” There are days it throws everything out of balance. It can be so heavy. Sometimes we need help carrying it; sometimes we need to carry it alone. I’ve learned that an ounce of forgiveness can relieve the weight accumulated from years of resentment. Oh, the relief of adjusting. I’ve seen how religious expectations are too much for my shoulders, but a faith relationship can leave me feeling weightless. How a trickle of faith can move concrete barriers. How I could not budge that box with my own strength, but a well placed fulcrum does wonders. It is a constant battle, is it not? Seeking balance? When to speak and when to listen. When to flee and when to fight. To take a risk or play it safe. To hold the line or let it go. Does the cost out weigh the benefit? Is the result worth the output? And the cost of being out of balance? Tension in overworked muscles, tension at home. Striving without satisfaction. Blurry vision. Until something gives. It always gives. At the end of last year, I had vertigo off and on for weeks. A few doctors visits, an MRI, and many bills later, there was nothing conclusive to explain my symptoms. Spinning, moments of nausea, having to grab at walls and dressers in the dark of night to make it to the bathroom. After years of giving some things too much weight and others not enough, I was ready to get off the teeter-totter. Not to bail in a way that would let my partner slam to the ground, spine tingling, but gradually. I gave notice, I scooted in. And slowly, deliberately, together we are making adjustments. Planting our feet firmly so nobody gets hurt. “Fulcrum” has several definitions, one being the point or support on which a lever pivots. What is your fulcrum? Finding balance requires a distribution of the load and the effort and there are various ways to achieve that. It means that sometimes, the focus is on one point, sometimes another. It means that the greater the load, the greater the effort required. If that isn’t happening, things get out of balance. Things give. Someone gets hurt. Are you experiencing warning signs? Is there a particular area that feels out of balance? I wish the formula were clear, mathematical, cut and dry. That is rarely the case. There are times when our greatest efforts feel miniscule and times when the smallest adjustments move mountains. And different areas, relationships, seasons require new formulas. I don’t have the answers, but I’m taking a long look at my fulcrum. I’m taking inventory and removing some baggage. Is there a place for this? How much effort am I willing to exert to off-set it? Processing through writing, finding treasures in the baggage. I’m learning from the bruises and adjusting my efforts. I’m reaching out for the stable hand and holding on until I’m ready to let go. Great writing, Alissa, as always. We are constantly looking for balance – whether in life or in wine. Perfect balance is impossible -the journey there is what makes life fun!